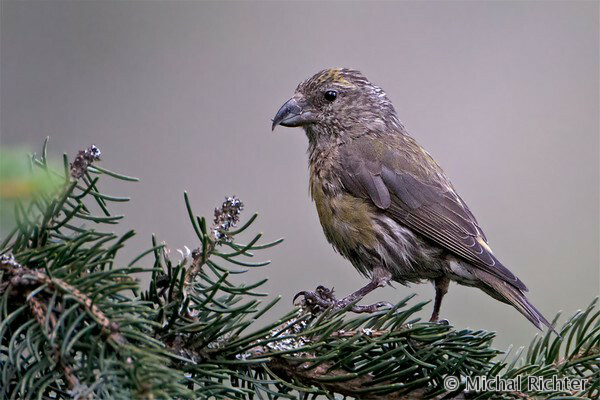 Common Crossbills (Loxia curvirostra) belong among the songbirds that start to build their nests and breed very early in the year. Time of the breeding is usually adjusted according to the largest abundance of spruce seeds in the forest. Photo was taken by nature lover and our friend Michal Richter.